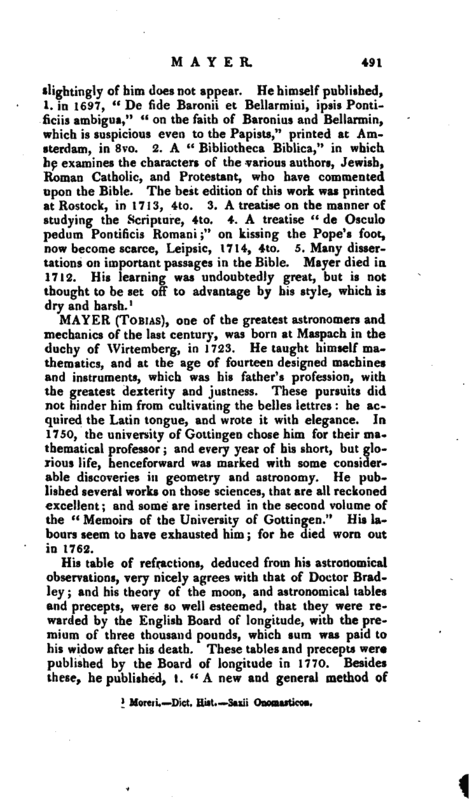 , one of the greatest astronomers and mechanics of the last century, was born at Maspach in the duchy of Wirtemberg, in 1723. He taught himself mathematics, and at the age of fourteen designed machines and instruments, which was his father’s profession, with the greatest dexterity and justness. These pursuits did not hinder him from cultivating the belles lettres: he acquired the Latin tongue, and wrote it with elegance. In 1750, the university of Gottingen chose him for their mathematical professor; and every year of his short, but glorious life, henceforward was marked with some considerable discoveries in geometry and astronomy. 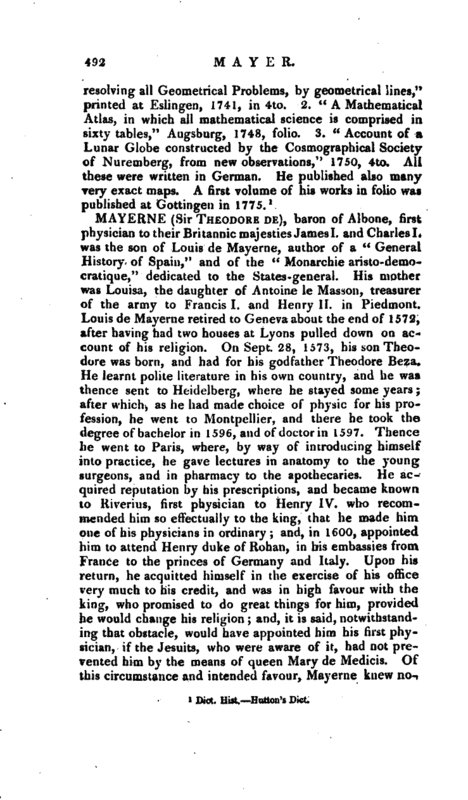 He published several works on those sciences, that are all reckoned excellent; and some are inserted in the second volume of the “Memoirs of the University of Gottingen.” His labours seem to have exhausted him; for he died worn out in 1762.